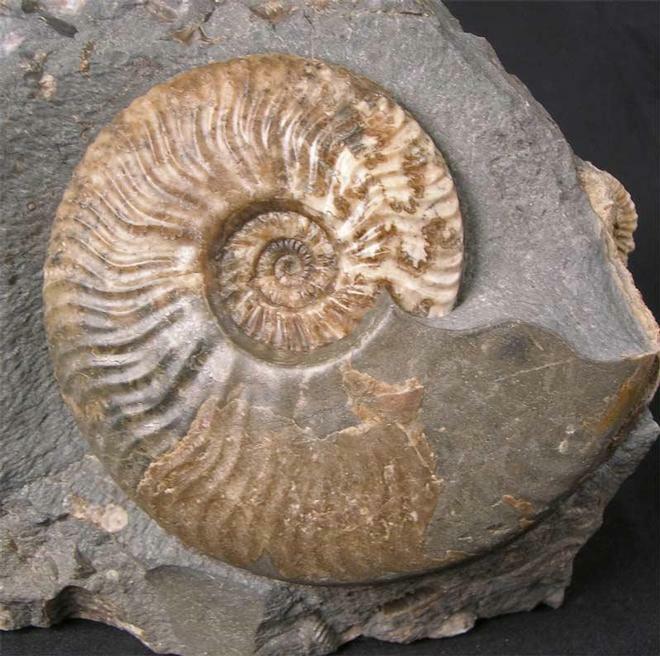 A beautifully preserved multi ammonite fossil which was discovered in 1987 and rescued from the sea before its destruction! Many hours of preparation have gone into this lovely display piece. 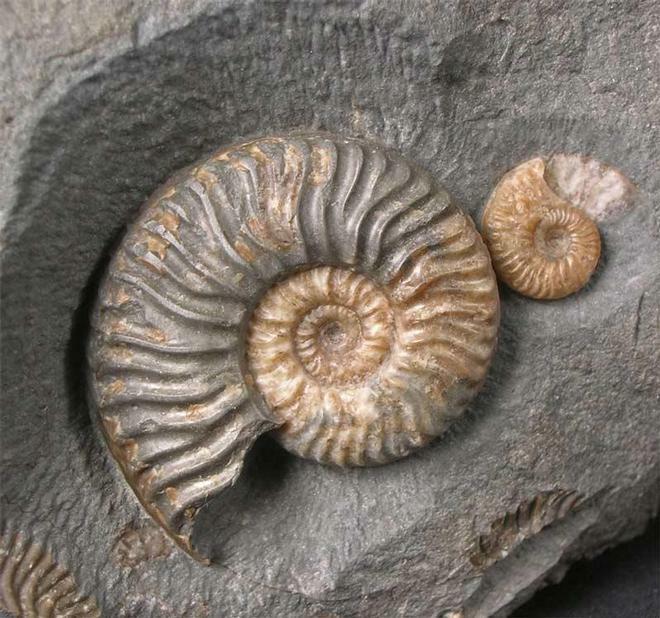 Also on the matrix is a smaller ammonite (Ludwigia cf.gradata) both are morphospecies and were described by BUCKMAN. 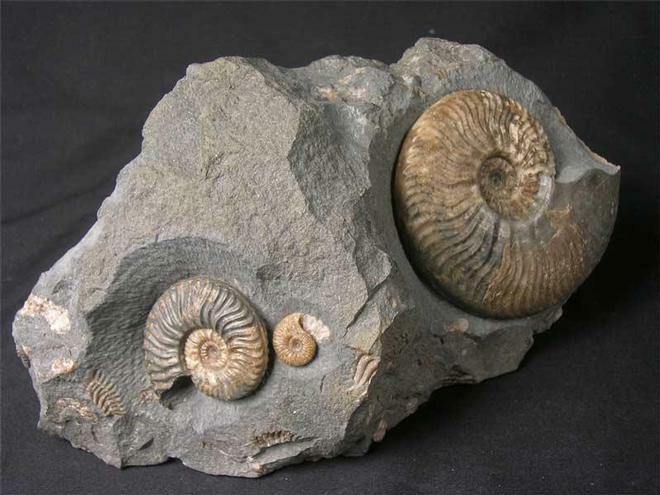 Any fossil material is extremely difficult to find at this location thesedays due in part to little erosion and heavy collecting by universities, school parties and private individuals. The matrix base has attached an anti slip and scratch pad for peace of mind when displaying on glass or wooden surfaces. Approximately 175 million years old. 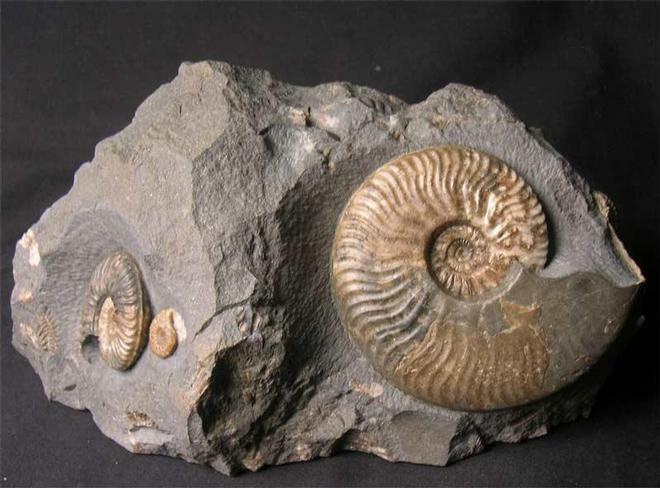 All the ammonites have immaculate centres.